In the early days of a business, delivering educational courses and training programs isn’t difficult. However, as your business grows, you hire more employees and partner with more companies, e-learning material gets dispersed across presentations, word documents, and files. eLearning is a great thing for your business growth and with it comes the need to organise your training. That’s where an LMS — a Learning Management System solution — is useful. However, there are hundreds of LMS solutions and they range from free to thousands of dollars a year. To help you choose the best LMS, we’ve compiled the most recommended LMSs according to our customers’ recommendations. We’ve collected reviews and comparative features of each to help you evaluate the best LMS that suits your business needs. eLearning content organisation. An LMS helps you store all of your eLearning materials in one place. This minimises the risk of losing important data, like training content, and makes it simpler to create your eLearning courses. If you are using a cloud-based Learning Management System every member of your team can also access the information from anywhere. Learner progress and performance tracking. Keep track of learners’ progress and ensure that they are meeting their performance milestones. The best Learning Management Systems feature reporting and analytics tools that also allow you to identify areas of your eLearning courses that may be lacking. Unlimited access to eLearning content. Your eLearning courses in your LMS can be accessed by your employees from anywhere. Even remote workers can login to their learning platform via their laptop, smartphone, tablets or smart speakers too. Learning and Development cost reduction. No need to spend your money on instructor travel costs, online training site rentals, or printed eLearning materials. All your eLearning courses are available digitally, which means that you can save a lot of money on your Learning and Development budget. Up-to-date compliance regulations. Many organisations such as medical device companies and hospitals must stay up-to-date with current compliance regulations. Using a corporate LMS gives them the ability to add new compliance standards to their training courses within minutes. Integrated social learning experiences. The best Learning Management Systems let you easily integrate social learning into your eLearning strategy. You can include links to social media groups where learners can socialise and share their experiences. Define what your organisational needs are for an LMS. If you already have an LMS, what are the main reasons you want to switch? What are the specific features you need that your current LMS doesn’t already have? Answering the above questions helps to inform your strategic drivers to narrow down your LMS requirements. Does the LMS offer meet all your requirements? What Information can an LMS track about an E-learning Course? What do I know about the background of the LMS provider? Do they offer customer support with the LMS? Do they offer a free trial and/or live demo? Define the online training content types you want your LMS to support. Will you need to launch online training courses with Flash, PDFs, PowerPoint presentations, or spreadsheets? You may need online training webinars, videos, audio files or maybe a combination. Make sure your LMS support the content types you need in your business. Will you need specialised training to maintain your Learning Management System? Does your LMS provider offer training for free? The end users may also may also need instruction on how to use the LMS if it’s not easy to use. To choose the best Learning Management Systems in the market, we looked at review websites, customer reviews, and other authoritative online resources. We asked our customers about other LMS they used in the past too. Below, we compared Learning Management Systems taking into consideration the average ratings across thousands of reviews, so you can choose the best LMS for your business. 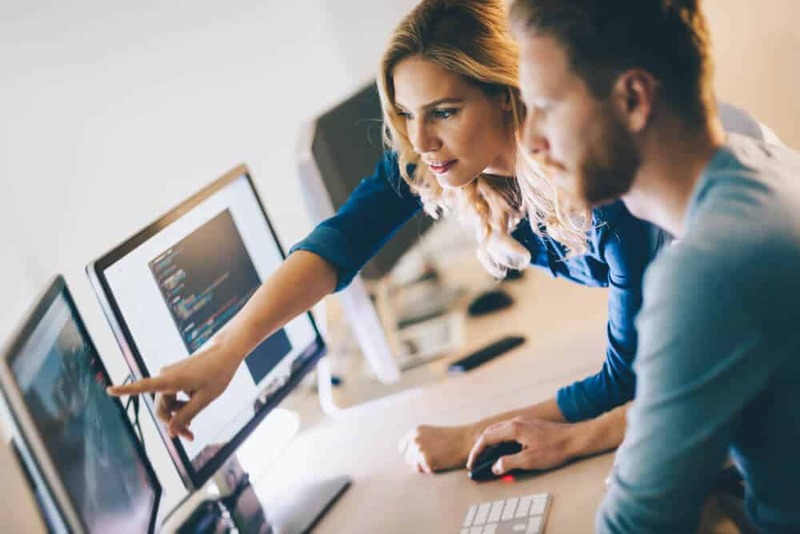 Totara Learn LMS is available as an open source e-learning software, while the Enterprise edition comes with additional features on a subscription basis. As one of the latest LMS on the market, Totara LMS was made in line with the needs of modern business and on-the-go learning from the outset. 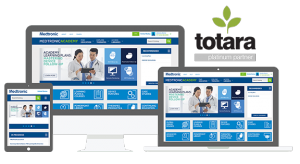 The frequent and numerous updates to Totara are enhancing what was already a great LMS. An excellent core platform, plus this commitment to continuous improvement of it is the reason why at Webanywhere we chose Totara Learn as one of our preferred solutions for corporate clients. Promatum is a modern eLearning platform for microlearning. It provides learners with an interactive environment to keep them engaged and help them retain information. Interactive features that keep learners intrigued throughout every module are available in the platform. Using the latest H5P authoring tool, you can bring videos to life with pop up questions and adaptive behavior as well as create PDFs and images with hotspots of information. Promatum encourages peer and social engagement. Good answers are voted on and ranked by your peers with the best answer marked at the top by the poster. The system is mobile first so your users can learn at their convenience and offers unique reporting features that let you understand your users’ activity when accessing the site. Moodle is an open source eLearning environment used by over 80 million people in 220 different countries. Created by educators, Moodle has an extensive library of learning tools which you can use for free and is used by organisations large and small. Moodle is user-friendly and has a simple interface and intuitive navigation, which consists of only three distinct columns. What makes Moodle so popular is that it’s free. You don’t need to pay any license fees to own a Moodle Learning Management System. Of course, you will still have to pay the development and maintenance costs if you don’t have these capabilities in-house. What makes Webanywhere’s learning platforms the best options for every businesses? Webanywhere provides cutting-edge learning management systems that are researched and developed by professionals with extensive experience. Additionally, Webanywhere develops Artificial Intelligence applications like Sound Branch for team-based communication for sales teams.